There are currently 13 Mi’kmaw communities, and over 16, 000 Mi’kmaw people, throughout Nova Scotia. Click here for a link showing Mi’kmaw Communities in Nova Scotia and here for to visit the Ta’n Weji-sqalia’tiek: Mi’kmaw Place Names website/map. Mi’kmaw people have lived through and overcome a wide variety of challenges and traumas. Throughout, Mi’kmaw people, and Indigenous people as a whole, have demonstrated immense personal and cultural resilience. 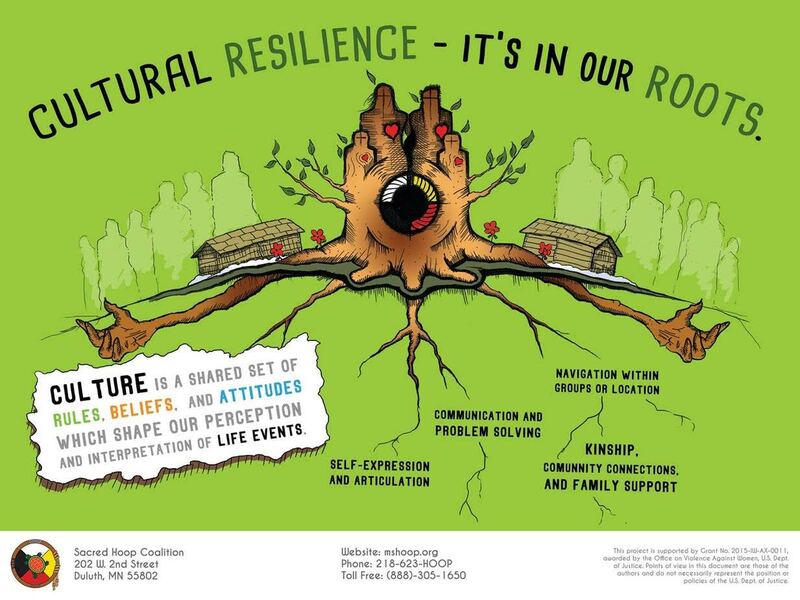 Resilience is when people use their strengths to protect themselves in the face of great stressors and/or oppression, and to build a better future for themselves and/or their community. - Image courtesy of the Mi’kmawey Debert Cultural Centre. How do these videos demonstrate resilience? How might victims/survivors use these cultural practices to support their healing? Add your thoughts to your notes using the button. This explanation of the Seven Sacred, or Grandfather, Teachings is from the Native Women’s Association of Canada (NWAC) 2012 Community Resource Guide. In the following video Stephen Augustine and Ashlee Cunsolo Willox of Unama’ki College teach the Mi’kmaw Honour song.